The Medical Center Auxiliary honored more than 100 teen volunteers during an appreciation dinner earlier this week at the Brenau Downtown Center. A total of 130 teen volunteers from 28 schools were accepted into the 2017 Summer Program, and they have donated 4,933 hours of service at Northeast Georgia Medical Center’s hospitals in Gainesville and Braselton. "We look forward to the Teen Volunteer Program each year, and it is very exciting to see the branch of The Medical Center Auxiliary and Volunteer Services established at the Braselton campus,” said Lajuania Lester, Manager of Volunteer Services at NGMC Braselton. “The teen volunteers touch the lives of many patients, visitors and staff – and we appreciate their dedication, enthusiasm and service during their short summer break." 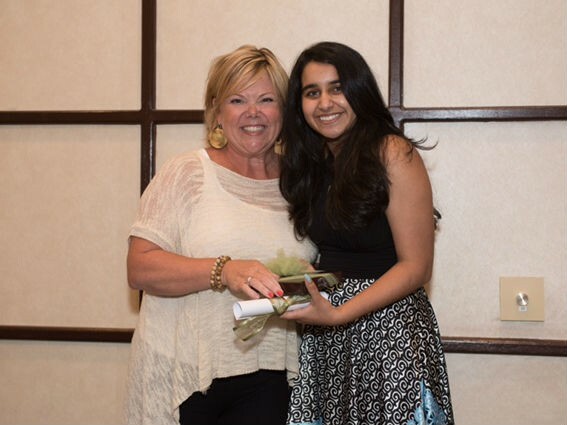 Beverly Filson, The Medical Center Auxiliary’s Teen Committee Co-Chair, presented The Andrew J. Dockery Teen Volunteer of the Year Award and a $500 scholarship to Simin Savani. Simin has volunteered for the past two summers and given 130 hours. She graduated with honors from Gwinnett School of Mathematics, Science and Technology, and will attend The University of Georgia in the fall to pursue a degree in Computer Science. “I love bringing smiles to faces, and it gives me much joy to serve the community in this way,” said Savani. In addition, fourteen graduated seniors from seven different schools were recognized. As a group, these teen volunteers contributed over 1,602 hours of service. “Volunteering taught me that giving is just as important as receiving, not only in the medical field, but in life as well,” shared senior Carley English. The Medical Center Auxiliary sponsors a creative writing contest for teen volunteers each summer. The teens are encouraged to write a short essay about what their volunteering experience has meant to them. Louise Robison, Volunteer Services Coordinator, presented an award to this year’s winner, Parth Purani, a rising senior at Buford High School who has volunteered 108 hours. The Medical Center Auxiliary also sponsors a t-shirt design contest, where teens were asked to use the theme “Teen Volunteers Making a Difference in the World” to create a unique design. All teens received a shirt with the winning design as a gift from the Auxiliary. First place was awarded to Hannah Lee, a rising senior at Flowery Branch High School who has volunteered 68 hours. “According to the National Points of Light volunteer rate, the hours contributed by the teens are equivalent to a value of $119,082; however, there is no way to fully measure the true value of their genuine acts of kindness and compassion,” said Colston. Ninety-seven volunteers received awards for completing 30 or more hours of service. Also honored were four teens who gave more than 200 hours of service: Ingrid Islas, Megan Moore, Vamshi Pandiri and Sloane Sengson. 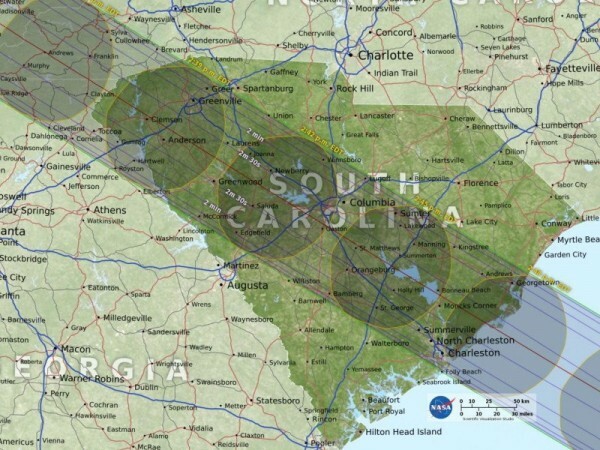 With an eye on safety — and education — school systems in Northeast Georgia are planning to alter their schedules Aug. 21, when a total solar eclipse will darken the skies for approximately two minutes around 2:30 p.m. in the area. 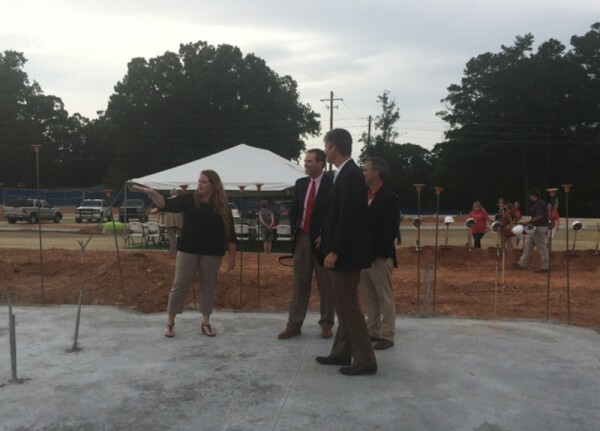 Even though the land has been cleared and graded and some of the concrete already poured, the Gainesville City School Board made it official Thursday night and held a formal groundbreaking for the new Enota Multiple Intelligences Academy.